Weldon Materials president Bob Weldon became chairman of the National Stone, Sand & Gravel Association (NSSGA) at the organization’s Annual Convention in Indianapolis, succeeding CRH Americas Materials CEO Randy Lake. 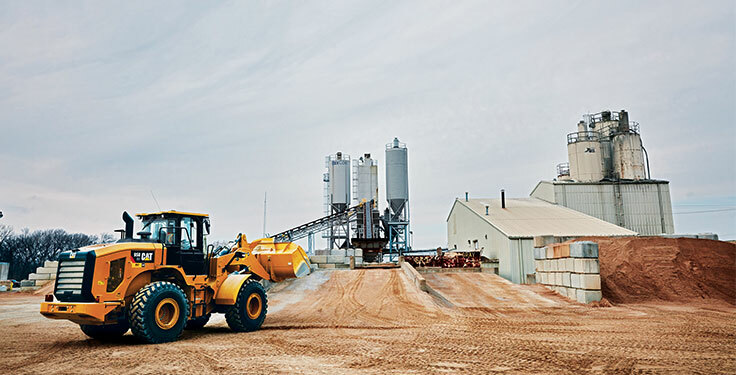 Weldon’s company based in Westfield, New Jersey, has two quarries, nine hot-mix asphalt plants and three ready-mixed concrete plants, as well as two contractor supply yards. Weldon Materials is a family business with roots tracing back to the 19th century. With Weldon seated at the head of NSSGA’s board of directors, Pit & Quarry connected with him ahead of the convention to learn about his plans for the association and which legislative and regulatory issues he’ll have an eye on in 2019. 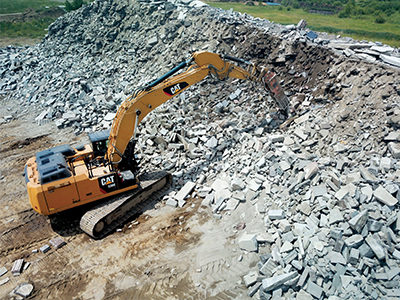 Describe your outlook for the aggregate industry in 2019. I think 2018 was a strong year for the aggregates industry. Production numbers increased from 2017, overall, as the U.S. Geological Survey reports that the estimated production for the first three-quarters of 2018 was 1.05 billion metric tons. That’s a 3 percent increase over the same three quarters in 2017. I would hope positive trends from last year continue into 2019 and beyond. The Trump administration will be working alongside a divided Congress that now includes a Republican-controlled Senate and a Democrat-controlled House. Do you think Republicans and Democrats will get along enough to pass any significant legislation this year? Do you expect any major piece of transportation infrastructure legislation to be passed in 2019? 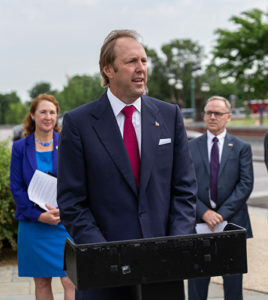 NSSGA has heard discussions on an infrastructure bill are taking place between Democrats and Republicans in both the House and Senate. Lawmakers were quoted throughout 2018 as being in favor of a long-term infrastructure bill, as well, so it appears there’s interest in tackling the issue. House Transportation & Infrastructure (T&I) Committee Chairman Peter DeFazio (D-Oregon) has been a long-time advocate of fixing the revenues for the Highway Trust Fund and making it solvent. And, in fact, the new ranking member, Sam Graves (R-Missouri), was the former chair of the Subcommittee on Highways & Transit and has his own interests in fixing the trust fund. So, the time is right for aggregates companies to continue to push for a substantial and long-term infrastructure bill in 2019. One tool NSSGA uses to build relationships with members of Congress is ROCKPAC. Our industry’s political action committee works to support candidates who understand and appreciate the value of aggregates operations and are committed to promoting sensible, scientifically-based safety and environmental laws and regulations. I’d encourage people to visit nssga.org/rockpac to learn more. As an aggregate producer, what would you like to see the federal government focus on in 2019? A focus on common-sense regulations – from agencies and lawmakers with oversight – would benefit the industry greatly. We’re already seeing signs of this, as the Environmental Protection Agency is currently accepting comments on a re-proposed Waters of the United States (WOTUS) rule. This new rule essentially would replace a 2015 WOTUS rule that was far too vaguely written to be effective at keeping water clean. In fact, it could have cost operations millions of dollars to mitigate dry land and creek beds on their property. The Mine Safety & Health Administration (MSHA) now has a full year under the purview of Assistant Secretary David Zatezalo. Have you noticed any significant changes in the agency over the last 12 months? Do you expect significant changes to take place between MSHA and the aggregate industry in the year ahead? Safety is the top priority at our company, and I believe that to be true of any NSSGA member company. I would hope MSHA continues to improve their understanding of the aggregates industry this year, and see that we are willing partners when it comes to making sure that people go home safely to their families and friends every day. What other things will you be focusing on as NSSGA chairman? Almost one-fifth of Congress is new to Washington, D.C., this year. There are new chairs and members of congressional committees that have oversight of regulatory agencies or control the funding for infrastructure, and NSSGA and member companies plan to educate them on the value of our industry to rebuild our aging infrastructure and improve the U.S. economy. I would like to see each aggregates operation bring their member of Congress out to the quarry or pit for a tour. Showing them how aggregates are produced is a great step toward building a good relationship with our elected officials, who can then truly appreciate and support bills that allow our industry to grow by investing in our nation’s infrastructure. The more companies that join NSSGA, the louder our voice becomes in Washington, and the harder it is for members of Congress to ignore our asks for a serious investment in our infrastructure. I’d also like to see our association grow in numbers. If you are a member of NSSGA, talk with people from nearby operations and ask them to join. I’m glad to report that the members of the National Industrial Sand Association saw value in becoming part of NSSGA – so much so, that they are now the nucleus of our growing Industrial Sand Division of members. 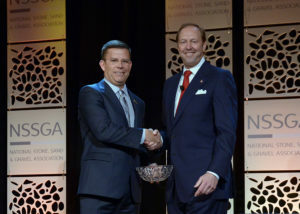 I believe NSSGA is invaluable to the aggregates industry, and I want the association to be considered by all as an invaluable asset to quarries and operations across the country. To that end, look for the association to provide new tools to permit new quarries or grow new operations. Easing the permitting process is important to operations, and NSSGA is committed to providing tools that demonstrate the value of a quarry to any given community group, zoning board or federal agency. We have fact sheets that can show any company how to improve community relations, and we recognize outstanding operations and projects with top industry awards every year. 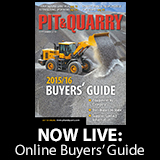 Launched in 1916, Pit & Quarry magazine serves the multi-billion-dollar aggregates mining industry. It offers its readers informative articles about the equipment and technology used by producers of crushed stone, sand and gravel. Pit & Quarry’s editorial content is based on extensive reader research. The editorial staff covers the industry from the field, traveling thousands of miles each year to visit quarries, sand and gravel plants, and attend industry trade shows and conferences. 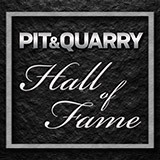 With editorial offices in Cleveland and an experienced staff of contributing writers, Pit & Quarry has more editorial resources at its disposal than any other aggregates industry magazine. First launched in 1996, Pit & Quarry’s web site has become the leading online information source for aggregates producers. Using the latest technology, it provides visitors the most current and comprehensive information possible.